Students in free arts-integrated program for City Schools realize growth in math, reading, writing, and social-emotional learning – especially for those behind academically. 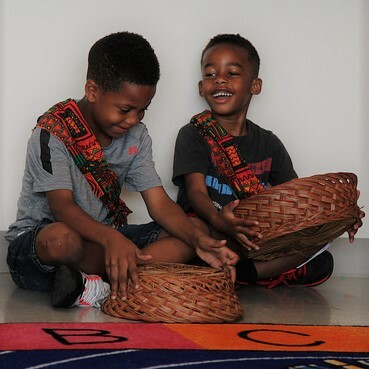 BALTIMORE, (February 18, 2019) – A new study shows that students who participate in Baltimore City Public Schools’ Summer Arts & Learning Academy (SALA), operated by Young Audiences, realize positive academic growth and improved social-emotional skills. The research indicates that when compared to the rest of the students in the program, students with special needs saw significantly more growth in writing and in some social emotional domains. Similarly, students that started the summer program behind in math saw significantly more growth over the summer than their peers who began the program on grade level. 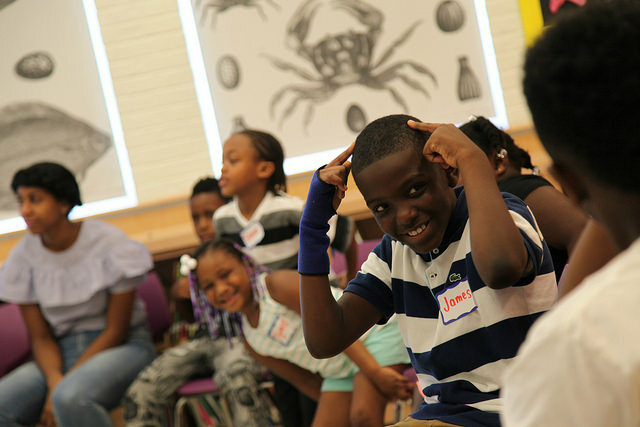 The 2018 Summer Arts & Learning Academy, a free five week arts integration program for Baltimore City Schools students, was held from July 9 to August 10 at eight sites across Baltimore City. 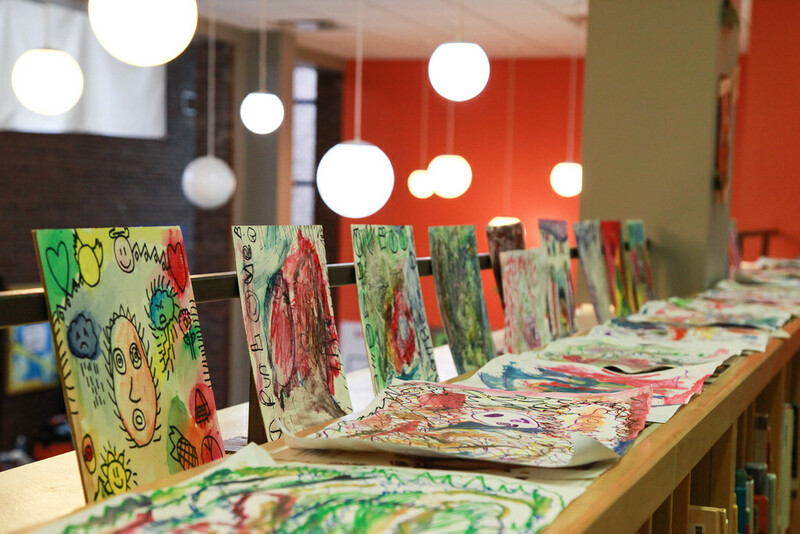 Through hands-on activities co-taught by professional artists and classroom teachers, nearly 2,200 Pre–K-5th grade students engaged in painting, songwriting, poetry, dance, music, photography, playwriting, filmmaking while learning math and literacy. SALA students’ test scores at the beginning and end of the program were analyzed by WolfBrown, a national leader in research on arts education and children’s academic, social, and emotional development. WolfBrown’s analyses revealed increases in students’ math, reading comprehension and writing scores that were not only statistically significant, but large. On average, students’ math scores increased by 15 percentage points, their reading comprehension scores increased by 11 percentage points, and their writing scores increased by 14 to 16 percentage points. Of particular interest in the study was the growth seen among students who were behind academically or who were at risk of falling behind. Students further behind in math at the beginning of SALA showed the largest growth in math – their test scores grew nearly 1.5 times the rate of their peers. Similar results were observed among students with IEPs. An IEP is an individualized educational plan given to students who demonstrate at least one of 13 special factors, all of which are considered to impede learning. Students with IEPs out-paced their peers in writing content score-growth by nearly 1.24 times. Students with IEPs also showed growth in self control as reported by parents. 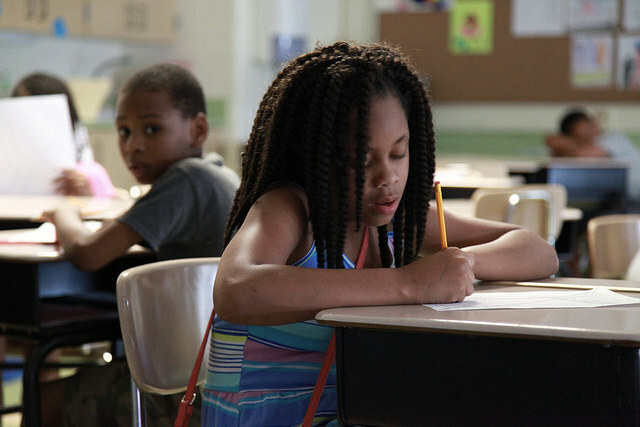 The Baltimore City Schools Office of Achievement and Accountability conducted its own evaluation of the program, comparing scores from end-of-academic-year standardized assessments (iReady and DIBELS) to the beginning of the year in order to measure summer learning loss and the impact of SALA in mitigating that loss. 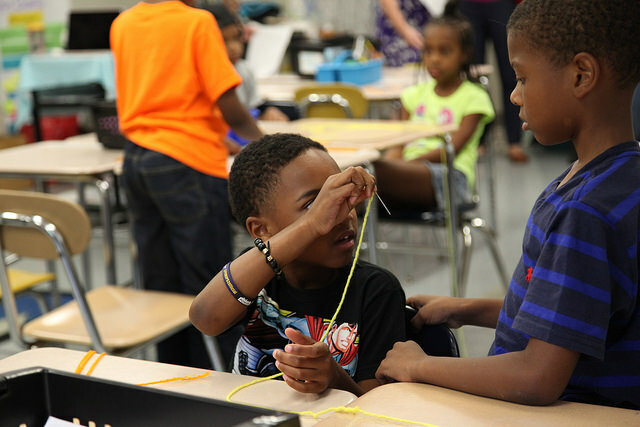 In three of the four comparisons, SALA students program showed lower rates of summer learning loss than students who were not in a summer program. “Young Audiences’ evaluation contributes to the body of national research showing that when children have sustained opportunities to learn in and through the arts, they have greater rates of academic success,” said Stacie Sanders Evans, Young Audiences President & CEO. 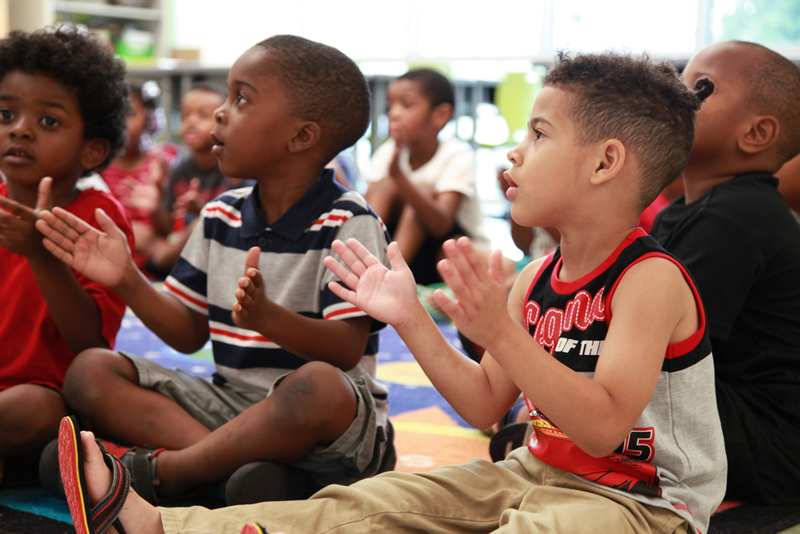 As a result of the program’s continued success, Baltimore City Schools and Young Audiences will expand SALA in 2019 to Pre-K, reaching more than 230 of our City’s youngest learners across all 8 sites. 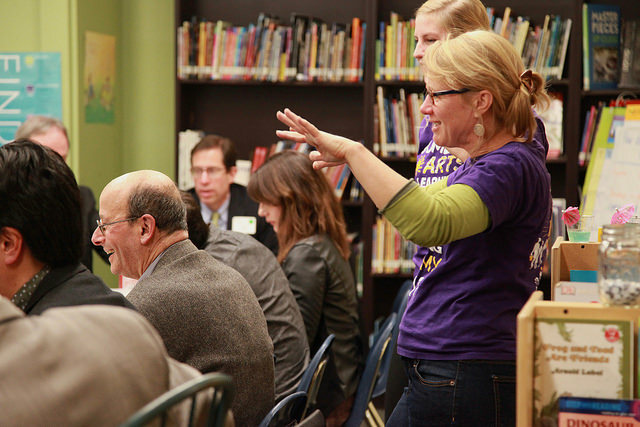 Started in Baltimore in 1950, Young Audiences is the nation’s largest arts-in- education provider. As the Maryland affiliate, Young Audiences/Arts for Learning (YA) is devoted to enriching the lives and education of Maryland’s youth through educational and culturally diverse arts programs. Through Young Audiences, professional artists from all disciplines partner with leaders and schools for nearly 10,000 hands on arts learning experiences that reach more than 190,000 Maryland students. Young Audiences envisions a Maryland where the arts are valued for their capacity to transform lives, and where every student is immersed in opportunities to imagine, to create, and to realize their full potential. Field trip! Remember the excitement you felt as a kid when you got to explore the world outside your classroom for the day, file on the bus, and leave school far behind? 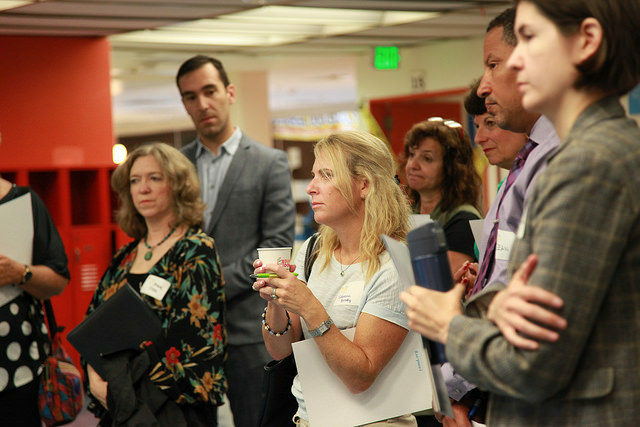 Well, it was a bit like that on Wednesday, July 25, when a diverse group of Maryland legislators, high-level education officials, and others boarded a bus to learn more about the programs that Young Audiences and its partners are offering Baltimore youth this summer. Except instead of leaving school, we headed toward them! 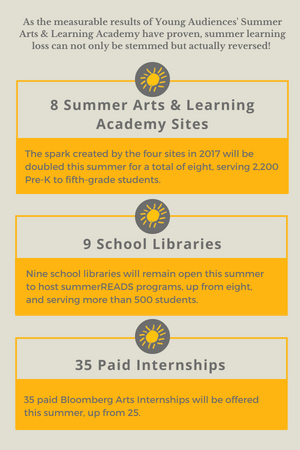 At Moravia Park, we visited SummerREADS, a free drop-in literacy program that is the result of partnerships with the Harry and Jeanette Weinberg Foundation, the Baltimore Elementary and Middle School Library Project, Baltimore City Public Schools, and Young Audiences. 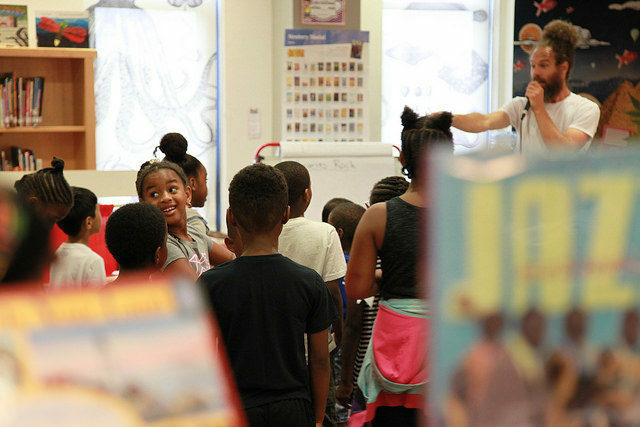 Over a five-week period of time, more than 500 K-8 Baltimore City students will have had the opportunity to visit one of nine reading sites where they encountered engaging literacy workshops with teaching artists and fun enrichment activities with special guests. 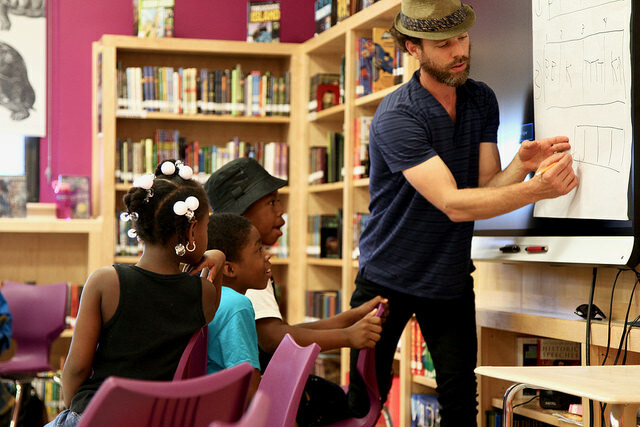 YA roster artist Max Bent teaches math and literacy through beatboxing. And that is exactly what we found when Max Bent, a beatboxer who has been a Young Audiences teaching artist for 7 years, led a group of six- and seven-year-olds in the basics of beatboxing. He taught them how to make various sounds and then incorporated them into a song, “My Banana.” As they counted out beats (three syllables in banana! ), they thought of other fruits (apple, two syllables!) to add into the song. We had to leave for our next stop before he could complete the lesson, but I could already see the intriguing possibilities in beatboxing for both math and English. Before we left the school, there was a quick Q&A session. 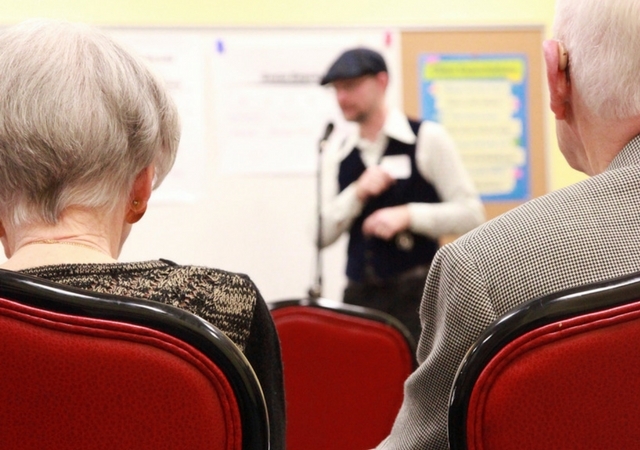 The questions came fast and furiously from all sides of the room, a testimony to how interested people were, not only in the learning they had just witnessed, but what it took to make this possible. Participants on the Summer Learning Bus Tour gathered to ask questions about the SummerREADS program before getting back on the bus. Our next stop was at Dorothy I. Height Elementary School for an introduction to Young Audiences’ Summer Arts & Learning Academy (SALA). Here we learned that SALA is a five-week program for Pre-K through fifth graders where the focus is twofold. First, to arrest summer learning loss, and second, to make sure that learning is fun and engaging every day. At this particular school, 260 children meet each day to learn and reinforce lessons in literacy and math. 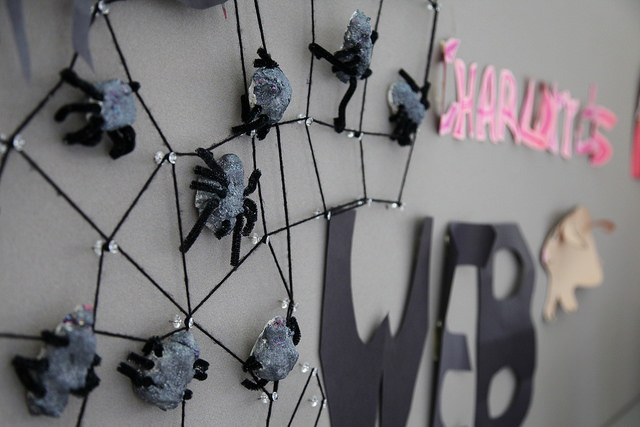 Last year, Young Audiences reached more than 1,150 children at four different school sites. 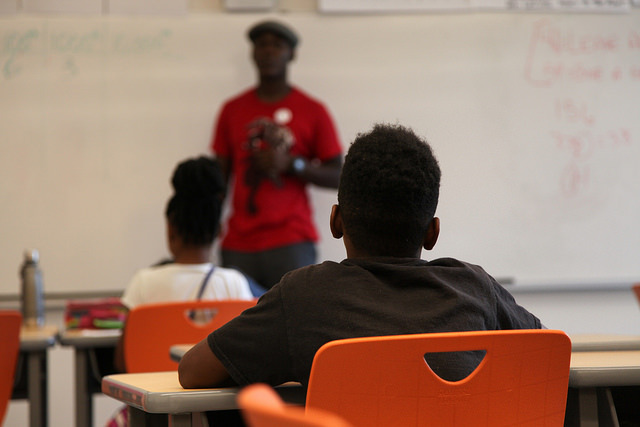 Incredibly, in one year’s time, Young Audiences, in partnership with the Baltimore City School system, has doubled its efforts, reaching about 2,200 kids at eight school sites. We were then offered the opportunity to enter classrooms to observe the action. I slid into a third-grade classroom, where the children were focusing on The Red, a book about a confused crayon, whose friends eventually help him discover his true color. The teaching artist, Daniel Ssuuna, whose specialty is East African dance and drumming, divided the kids into three groups, each focusing on one particular part of the story. Handing out percussion instruments, he instructed students to focus on the emotions of the crayon during their assigned story segment. Was the crayon confused, or supported, or happy? With that in mind, they then created a dance and drum accompaniment to illustrate the crayon’s feelings. Other instructions given by the classroom teacher, Amanda Bila, highlighted listening skills. She asked, “When we are not performing, what do we do?” The kids supplied helpful advice: Be quiet. Be respectful. Listen. Pay attention. Students planning their performance at Summer Arts & Learning Academy. As the groups formed, I watched their interactions with the teachers and each other. I saw collaboration, referring to the book for inspiration, asking teachers questions, answering questions from the teacher, ideas discussed, ideas kept or discarded. If Socrates had walked into this classroom, I’m sure he would have been proud to see his famous critical thinking methods being deployed. Though I would have loved to watch each group perform, sadly, our time was up. Still, the excitement the kids exhibited as they analyzed their book was a potent reminder of how exciting and fun learning can be when you combine the arts and dedicated teachers. Next we traveled to the Reginald F. Lewis Museum of Maryland African American History and Culture. Here we learned about the Bloomberg Arts Internship (supported by Bloomberg Philanthropies NYC) which places 35 Baltimore City rising seniors in paid internships at local arts and cultural institutions. 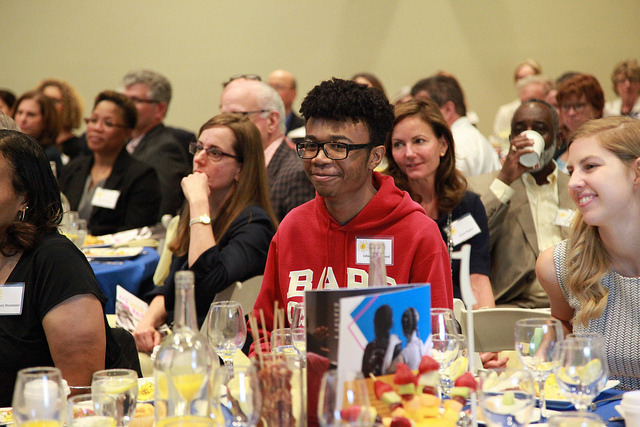 These teens worked throughout the city with a goal of learning career readiness skills through real-world workplace experiences and professional development. 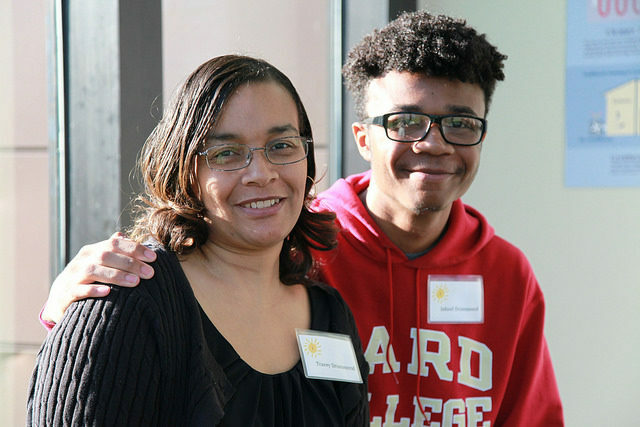 Additionally, college mentors and writing coaches worked with the interns on college applications, resumes, and other experiences that will help them move to the next level professionally and/or academically. 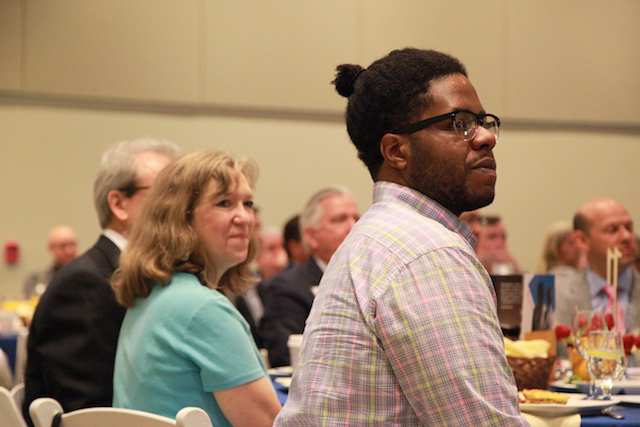 Bloomberg Arts intern Collin Snow Stokes told the group about his interview project at the Reginald F. Lewis Museum. One intern, Collin Snow Stokes, spent his time at the Reginald F. Lewis Museum documenting the thoughts and feelings of Lewis staff, visitors, and volunteers evoked by objects reflecting Jim Crow era stereotypes from their upcoming exhibition “Hateful Things.” His goal was 10 interviews, but he became so interested in the project that he exceeded his goal and even had time to do a few more before writing up his findings. And since his goals are to go into journalism and/or broadcasting, the interview process has honed job skills he will use for the rest of his life. We also heard from two young women, Citlalli Islas and Paris Day, who worked at Port Discovery Children’s Museum. Paris was assigned an archival project, logging in items that have been collected by Port Discovery over the 20 years of its existence. As she began her assignment, both she and the curators soon realized that the scope of it was more than they had anticipated. But by creating a system to log and track the items, they have begun the process that will help the museum maintain its collection for years to come. And as an added bonus, as she archived items, the collection overseers realized what a great exhibit some of the artifacts would make and, thus, an exhibit was born! Bloomberg Arts interns Citlalli Islas (left) and Paris Day (center) described their work and experiences at Port Discovery. Citlalli interned in the exhibits department and has learned a lot about all the behind-the-scenes work that goes into creating and maintaining a museum exhibit. Obviously, this requires artistic vision. But beyond that, this has called on her to be innovative, meticulous and organized – not a bad group of skills to acquire before college and beyond. Finally, it was time to get on the bus to return to our cars. As we wound our way down Baltimore’s city streets, I listened to the conversations around me, ranging from other arts organizations and what they accomplish in their communities to legislative and philanthropic aides asking questions about the work that Young Audiences does and how each person present got involved. And as I thought about involvement, I remembered another thing that Stacie had said at the beginning of our journey: It takes a village. At the time she was referring to the teaching artists, librarians, kids, and parents who were involved with SummerREADS. But it was just as applicable to each program we visited, and to each organization that contributes time, money, or leadership. None of what I had witnessed occurs in a vacuum. The sheer number of people, funds, and time takes a rather large village, actually. And I’m happy to be a small part of this Young Audiences village. 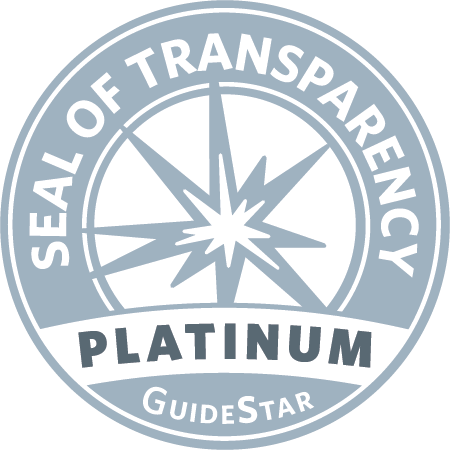 It’s a great place to be and I invite you to join me! Field trip! 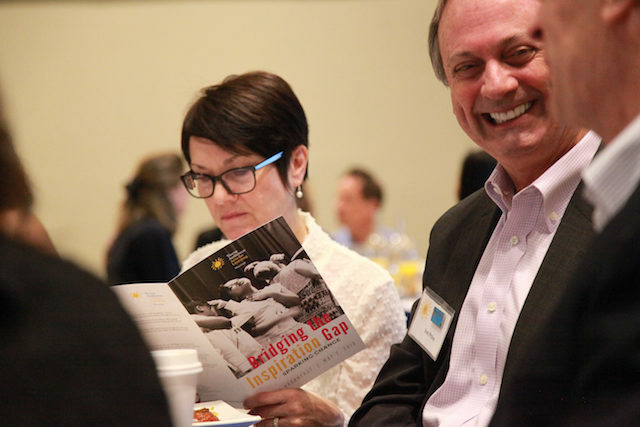 Young Audiences, the statewide nonprofit that boosts student achievement by bringing arts integration into classrooms and children’s learning experiences, has hired Leyla Layman as its new Chief Operating Officer. Former Young Audiences COO Kurtis Donnelly will remain with the organization, taking on the newly created role of Director of Summer Learning, to enhance and expand Young Audiences’ summer programming and impact. Leyla Layman is a career public servant, most recently serving as Deputy Executive Director, Operations and Chief of Staff for the Maryland Department of Human Services’ Child Support Administration where she managed strategic initiatives to increase program effectiveness and worked to identify and create systems to improve operating efficiency. Previously, Layman was Director of the Baltimore City Health Department’s Office of Youth Violence Prevention and was responsible for program oversight, expansion, and evaluation.Under her leadership, youth outreach increased by 150%. Kurtis Donnelly’s transition to Director of Summer Learning comes as Young Audiences expands its focus on year-round learning, implementing and growing programs in the summer. In his nearly three years as COO, Donnelly streamlined the success of Young Audiences’ Summer Arts & Learning Academy while implementing and coordinating all of Young Audiences programming. 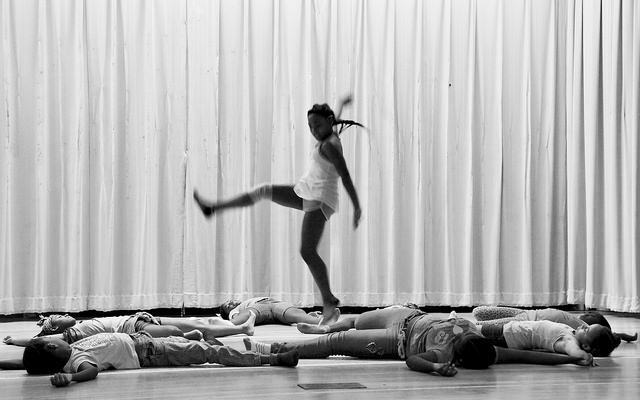 Started in Baltimore in 1950, Young Audiences is the nation’s largest arts-in- education provider. 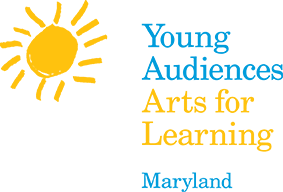 As the Maryland affiliate, Young Audiences/Arts for Learning (YA) is devoted to enriching the lives and education of Maryland’s youth through educational and culturally diverse arts programs. Through Young Audiences, professional artists from all disciplines partner with leaders and schools for over 7,000 hands-on arts learning experiences that reach more than 190,000 Maryland students. Young Audiences envisions a Maryland where the arts are valued for their capacity to transform lives, and where every student is immersed in opportunities to imagine, to create, and to realize their full potential. 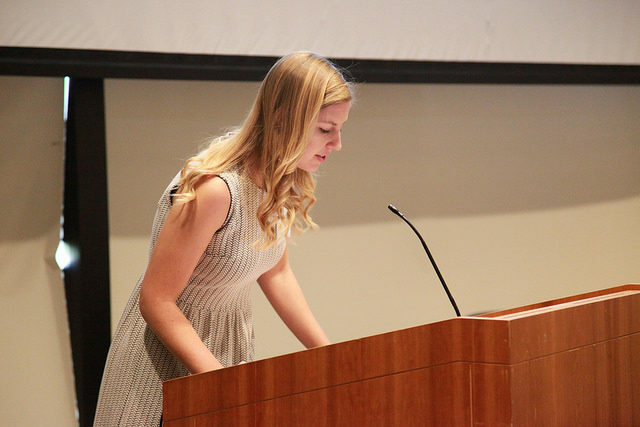 She presented a short video highlighting Young Audiences’ Summer Arts & Learning Academy, talked about the impact on the students that it serves, and shared the organization’s plans for the future. 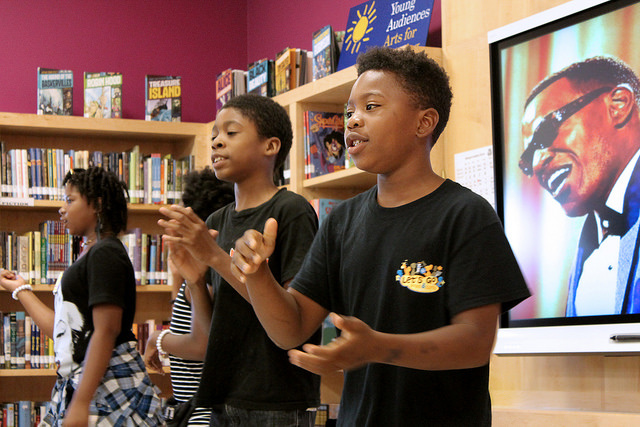 This year, Young Audiences brought their Summer Arts & Learning Academy to four Baltimore-area schools, serving more than 1,100 students over a 5-week period. Next year, the goal is to double this achievement by expanding to eight academies with an enrollment of 2,200 students. You couldn’t help but feel proud of what Young Audiences has accomplished in stemming summer learning loss. 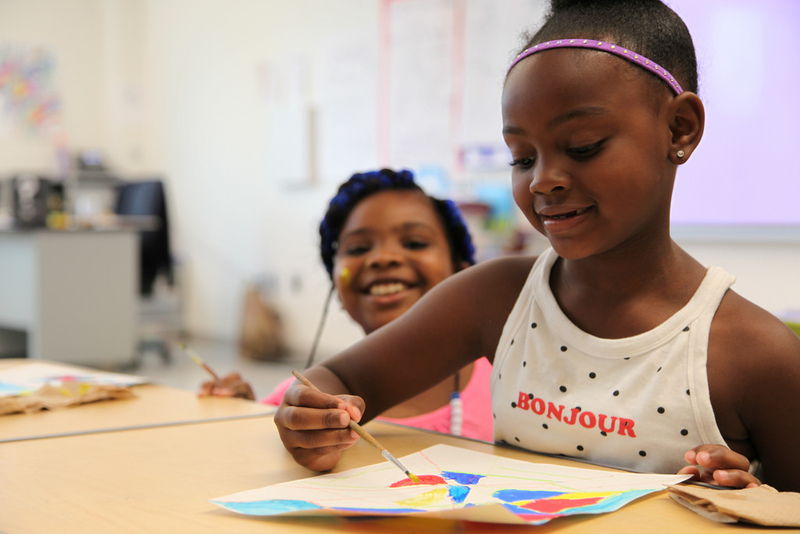 With the help of dedicated artists and academic teachers, children who regularly attended the Academy not only avoided summer learning loss in reading and math, but in many cases made significant gains over their national peers in standardized testing. The findings showed potentially groundbreaking progress in tackling summer learning loss, a chronic challenge facing public schools. 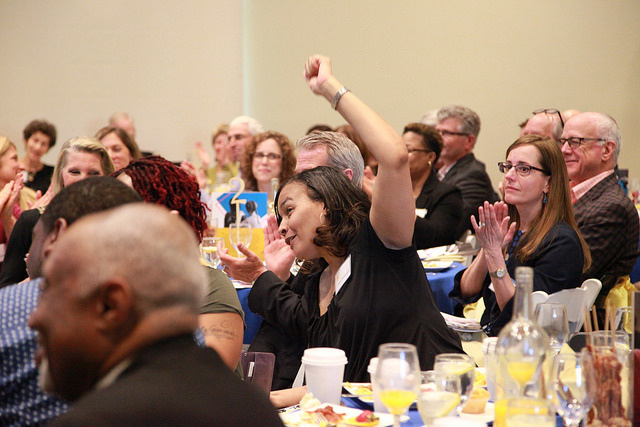 That sense of pride was especially felt among the attendees who, either through corporate or private donorship, provided funding to bridge the gap between the City School system’s budget and the actual cost of the Academy. I had been fortunate enough to observe one Summer Arts & Learning Academy over the summer and was delighted by how many guests shared their own stories of Academy site visits. And on this evening, we had the pleasure of experiencing the Academy not just as observers, but from the perspective of students. We were divided into groups before departing on our journey to experience learning with Young Audiences. At three arts-integrated learning stations set up throughout the school, artist-teacher partners invited attendees to step into the shoes of students and learn academic content through the use of various art forms. 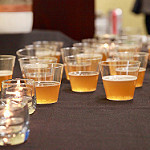 Of course, since it was an art crawl for adults, there were cocktails to enjoy as well! We took our seats in the library where paper, markers, glue sticks and googly eyes had been set out on tables. 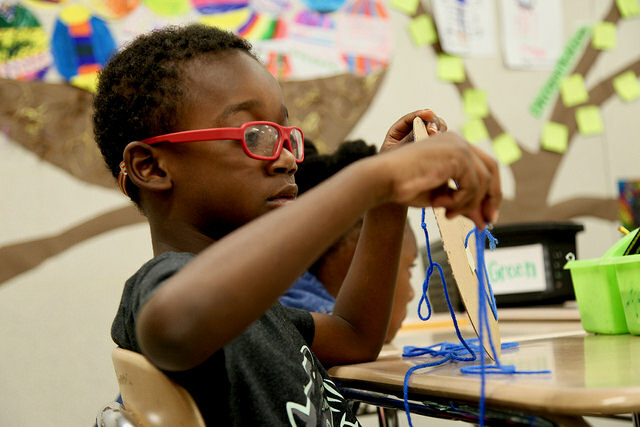 Fiber artist Kathrine Dilworth and her teacher-partner, Jaime Clough, explained they had worked with first graders in the Summer Arts & Learning Academy to reinforce math skills. We were instructed to draw a monster, name it, and then partner with someone to create a mathematical word problem, as this is a difficult skill for six-year-olds. So after Pink Plush (my furry pink monster) was completed, the gentleman across the table handed me his monster, Curley, and I wrote the following, “If you subtract Curley’s eyes (3) from Pink Plush’s (4), you are left with one eye.” The teacher smiled and encouraged me with a cheery, “Perfect!” I can picture her having done that many times this summer. You’ve heard of STEM, haven’t you – Science, Technology, Engineering, and Math? Well, when you add the Arts, you get STEAM! 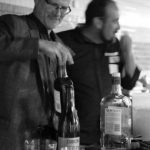 In the music room, after grabbing our next cocktail, we met percussionist Jason Armstrong Baker who taught us the basics of beatboxing. After demonstrating how to get Siri, Apple’s virtual assistant, to beatbox for you – one incredulous person asked, “Seriously?” to which another wit deadpanned, “No, Siri!” (you gotta love this crowd) – we went through a couple of patterns to master the skill. Convinced we were ready (really? ), he turned the floor over to classroom teacher Shana Smith who had assisted third graders with their multiplication tables. After picking a card (the 5 of hearts), which was our factor (in this case, rhythm size), and after a roll of the die (3), which determined our group size (in this case, the number of times the rhythm was repeated), we had our multiplication problem, 5 x 3. Thus prepared, we broke into a stuttering chorus of BttKt, BttKt, BttKt – our answer, 15! Moving back into the room in which we had begun the evening, we grabbed our cocktail and gathered around tables as Femi the DriFish, a slam poet, and his teacher-partner, Erin Inouye, explained how they used the book Seedfolks as a basis for their lessons. Using the example of “Through My Window,” we were asked to write our own poems to illustrate what we see through our window. Just as the pair had done with the fourth and fifth graders they led this summer, they offered several ways to accomplish this. A green sheet provided partial sentences with blanks left for the author to fill (think Mad Libs). Some participants were handed blank pink sheets of paper on which to pen a poem from scratch (a few brave souls chose this). For those feeling intimidated by the written word, colored markers and a blank white sheet were provided on which we could draw our window scenes. After completing our poems, we were invited into a circle to share them. And folks from each group (pink, green and white) did so. 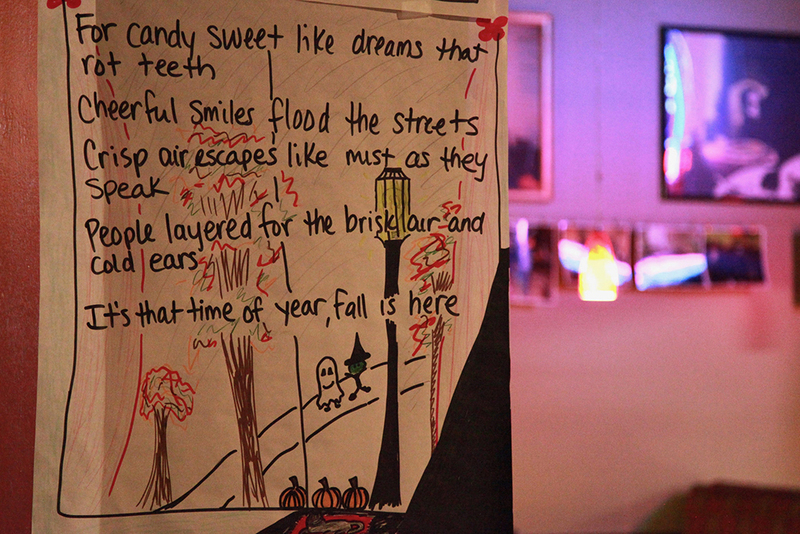 Particularly sweet was a gentleman who drew his poem, explaining that the trees were still green, not because they hadn’t changed colors yet, but because he left for work before the sun rose and got home after it set. So the last time he saw his trees, they were still leafy and green – a detail he might have felt hesitant to explain in writing, but that came flowing from him through his artwork! At the end of the evening the groups reunited for a few more snacks and conversation. 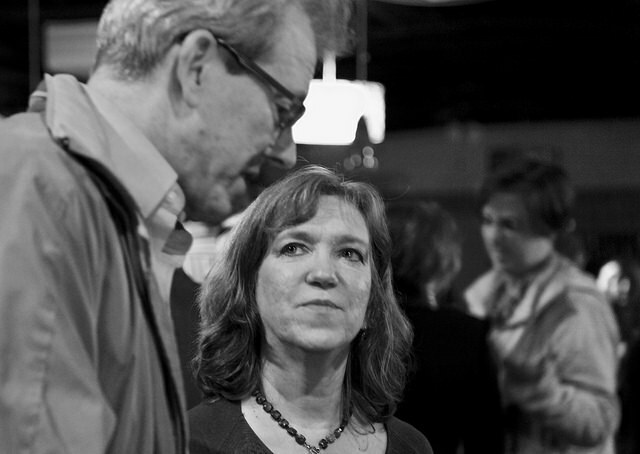 And what struck me as I talked with these people was their shared passion for both the arts and education. One woman, Sharon Button, had actually been the Executive Director of a Young Audiences affiliate in Buffalo, NY in the 1970s. At the time she was a workforce of only one, but toiled tirelessly to secure funding for arts-integrated programs long before the term was in fashion. I can believe it. The energy, passion, creativity, imagination, and sheer fun that Young Audiences exhibits makes me very proud to be associated with it. I have been fortunate to meet teachers and artists who blend academic subjects and art to reach school children. And I have been doubly blessed by being able to contribute monetarily to this amazing organization as a Sunburst Society member. 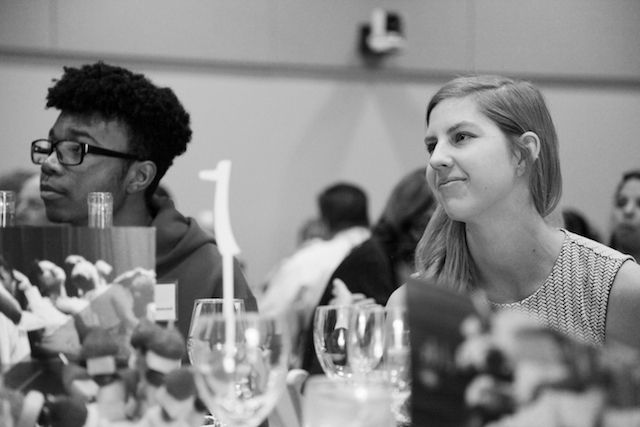 If you believe, as Young Audiences does, that the arts transform lives, and that every student should have the opportunity to imagine, create, and realize their full potential through the arts, then I urge you to join us in supporting this amazing organization. 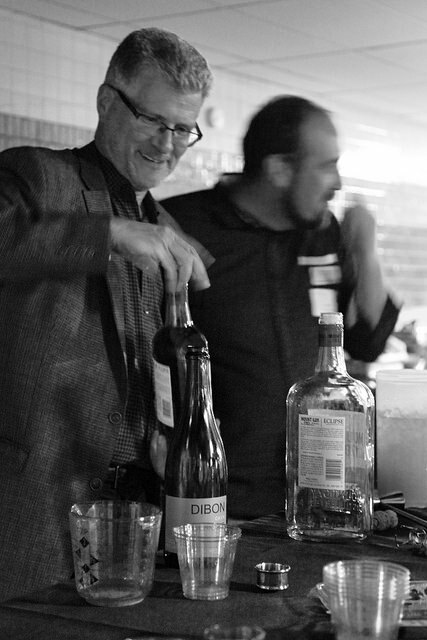 And then next year, join us at the Art Crawl and discover the magic that happens when arts, education, and handcrafted cocktails are combined. 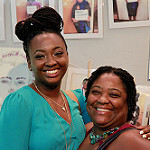 Find more photos from Young Audiences’ 2nd annual Art Crawl can be found on our Flickr page. “This hit, that ice cold, Michelle Pfeiffer, that white gold.” As soon as I heard the music echo into the buzzing auditorium, I knew it was time. Katherine Dilworth, my artist partner, and I put on our old lady gardener hats, fluffed our red feather boas, and strutted through the crowd of children gathered for the first day of Summer Arts & Learning Academy (SALA) at Thomas Jefferson Elementary Middle School. Waving and pointing to our new 1st and 2nd graders, we introduced ourselves as not just teachers, but people. We pulled out our best, but simultaneously horrible moves, and leaned into making ourselves look as silly and approachable as possible. It was fun, it was full of life, and we created it. This scene, this first real moment of SALA, is a small snapshot of what the entire summer felt like for us as teachers working with Young Audiences. Neither Katherine nor I had ever worked at the Summer Arts and Learning Academy before and we were a bit hesitant about what fully integrating the arts into each lesson would look like, especially in dealing with Common Core math. Coming into this program, I had just completed my third year as a Baltimore City Public School teacher. I was less concerned with management, and more concerned with how to plan arts experiences all day, every day. Katherine has taught many residencies all over Maryland with Young Audiences, so she was more concerned with the management piece than with planning content. Young Audiences did a beautiful job of pairing us together because our strengths complemented each other perfectly and we filled in the gaps for each other seamlessly. Looking back, one of the massive assets of the SALA program is that teachers and artists work together so that the best of both art and content is intertwined beautifully into each students’ day. Another huge asset to SALA is the freedom we had in planning our content to help our students enjoy their experience through art. We had a variety of types of art involved in each day, from movements associated with how a plant grows to full projects like weaving flowers based on patterns to create a “community garden” like in our story City Green. Lessons and experiences like these projects enriched our students’ understanding and knowledge in a way that I did not expect. This summer, I was able to clearly see how differently an arts-integrated classroom functions compared to a non-arts-integrated classroom. In an arts-rich class, students are more engaged, they have fun, they are more willing to take risks, and they come to see each other not just as students capable of learning, but as whole people capable of creating incredible things. 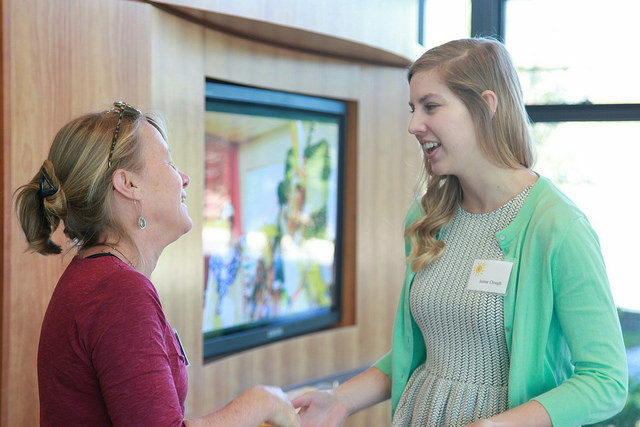 On that first day of SALA, we were introduced to our students not just as teachers, but as whole people. Because of this, we were able to build more trusting and holistic relationships with them. This experience changed the way that I will teach, always, and I hope that it changed how my students feel about school and learning. If you are a K-12 certified academic teacher interested in teaching in our 2018 Summer Arts and Learning Academy, email us at info@yamd.org. 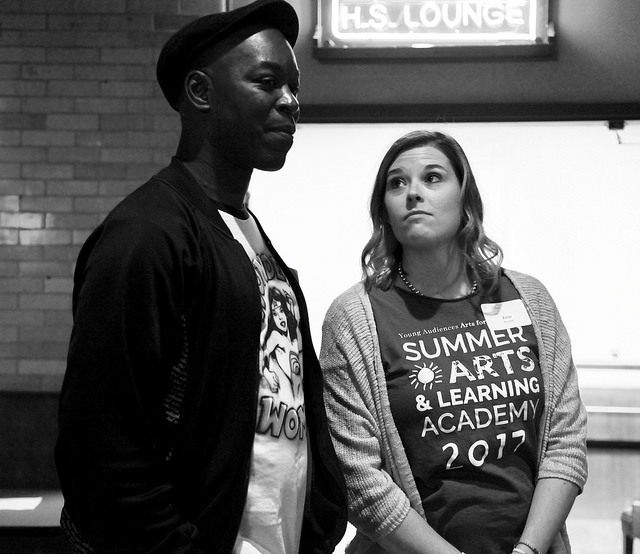 Professional artists interested in using their knowledge and expertise to transform the lives and education of City School students should visit Summer Arts Corps to learn about our paid training program. 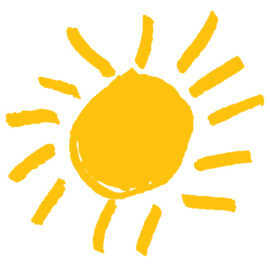 It was a summer filled with activity, singing, dancing, reading, creating, and sunshine. We witnessed the excitement of mastering new skills and discovering new talents. We felt the calm of classrooms illuminated with only the rays of light peeking in from behind drawn shades, students enveloped in peace, quietly drawing, ink and graphite on white paper. When families initially enrolled their children in our Summer Arts and Learning Academy, we asked them why their child was interested in participating. Many stated that their children were creative and hoped that through the program, they’d be able to enhance their skills. 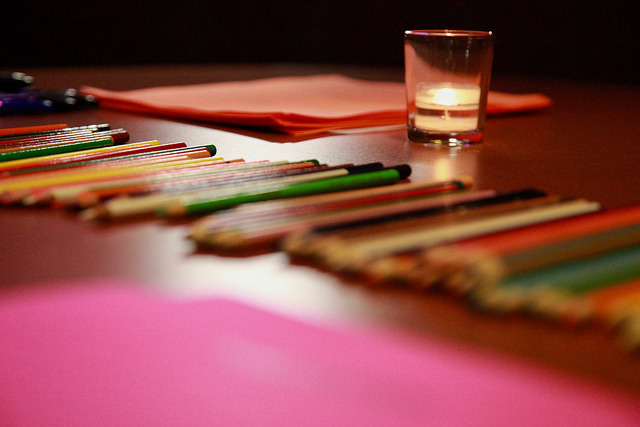 Others emphasized the integrated academics or latent benefits of the arts. 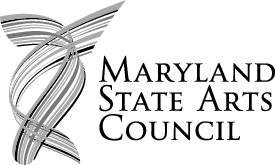 Some registrants celebrated the availability of the arts and educational summer program, as these opportunities are limited in Baltimore City. 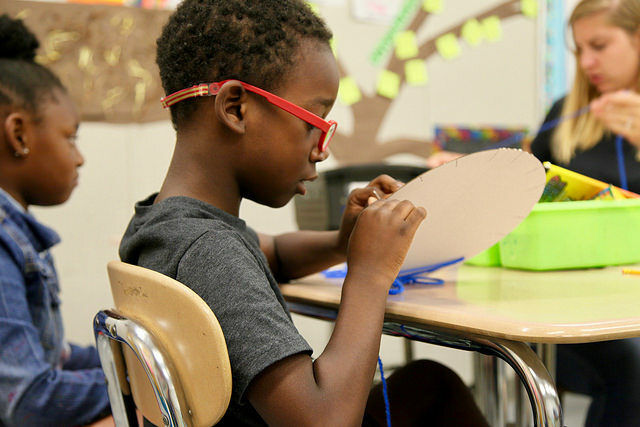 Students learned to sew and weave with fiber artist Katherine Dilworth at Thomas Jefferson Elementary Middle School. 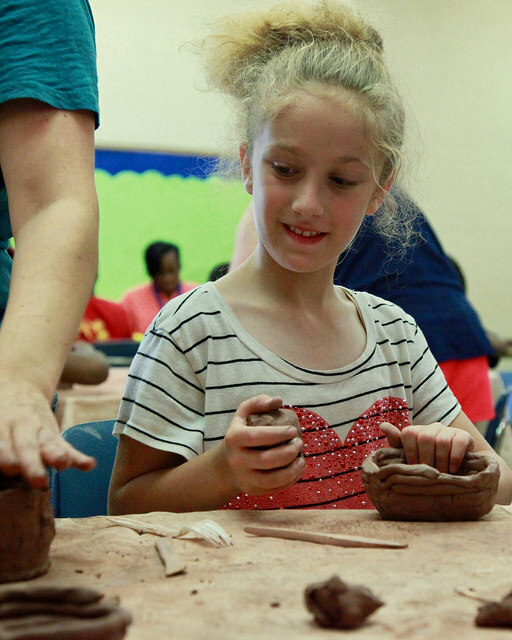 Did our Summer Arts and Learning Academy live up to families’ expectations? Culmination ceremonies came to a close, classrooms were disassembled and packed up for next year, and students prepared for their next summer adventures. We asked parents and families if they’d give us feedback about their experience by filling out a survey. Their responses poured in- 413 of them to be exact. We discovered that in Summer Arts and Learning Academy, parents watched their children not only learn, but grow and thrive artistically, emotionally, and academically. A student at Coldstream Park Elementary Middle School discovered that she had a talent for working with clay. Upwards of 80% of parents who responded told us that they noticed an increase in their child’s reading and math skills. With this strengthening of skills, their children became more confident. Of one student who enjoys writing poetry, we were told, “she will now actually share her writing with others.” Many families reported their children not only enjoying reading but choosing to read books over watching television. Still others described students proudly reading on their own and teaching younger siblings what they had learned. Visual Arts students at James Mosher Elementary School segmented spaces and filled them with patterns using lines and shapes. The positive changes parents noticed in their children exemplified 21st Century Skills, a set of higher order skills that have been identified by educators and business leaders as being critical to a person’s success in careers, in college, and as a citizen. These are skills that typically cannot be measured through standardized testing and include critical thinking, collaboration, communication, and creativity. 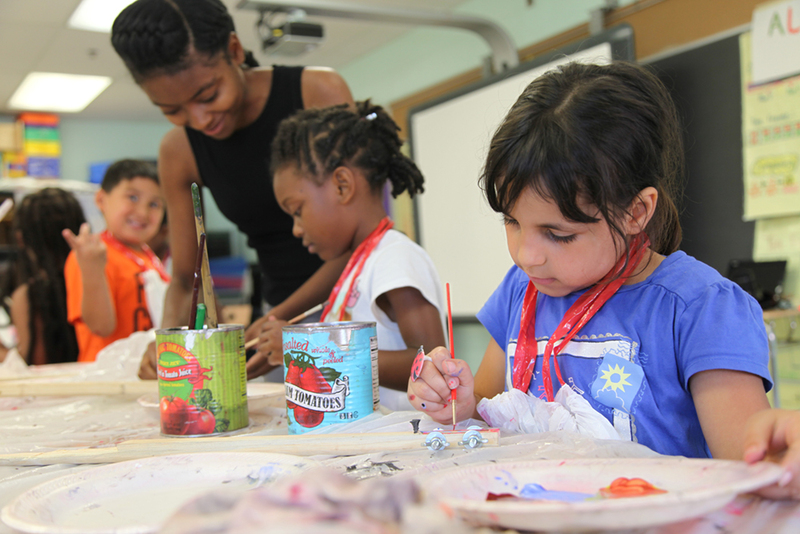 Through Summer Arts and Learning Academy, students were introduced to many new ways of thinking, seeing, and expression. They learned to look at things from different perspectives through the eyes artists, characters in literature, and through new friends, which made their own experiences more joyful and meaningful. Children embraced their curiosity, asking questions, exploring, and researching independently. “My daughter is better able to integrate her love of arts (fun) with learning (not as much fun) and see ways to make learning something that’s both fun and something she can accomplish,” one mom told us. Students choreographed and performed an original dance for their culminating performance at James Mosher Elementary School. Families described their students as being more social, friendly, outgoing, and connected. 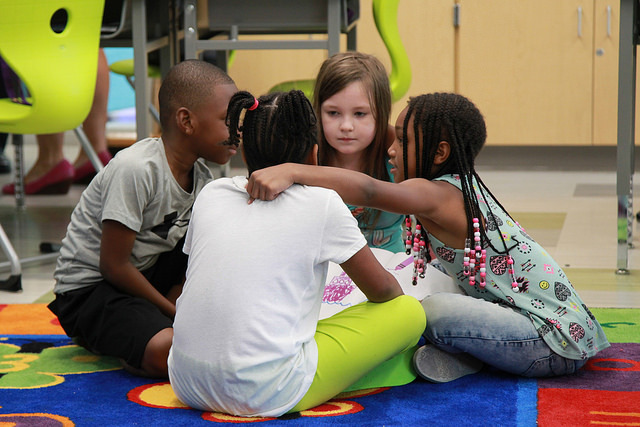 One student told her mom that she “enjoys being a loving and caring friend.” Another student “wants to take care of the neighborhood.” Students discovered that they liked working in groups and parents thought their children were now better able to deal with conflict. Through collaboration, the kids learned how to communicate, compromise, and achieve a common goal. They learned to ‘roll with it’, an enviable and necessary skill for 21st century children and adults alike. All summer long, kids and families made their way to one of seven city school libraries, each one beautifully renovated as part of The Weinberg Foundation’s Library Project to take part in SummerREADS, a free literacy initiative that provides six weeks of drop-in programming for Baltimore City students, grades K through 8. At Westport Academy Elementary/Middle, kids learned all about the life and music of Ray Charles from YA roster artist and former Raelette Renée Georges. 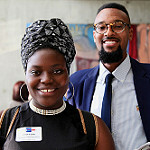 The host schools and libraries offered safe and welcoming spaces where students participated in literacy workshops and arts enrichment with teaching artists as well as enrichment activities with special guests including Art with a Heart, Maryland SPCA, The Maryland Zoo in Baltimore, and The National Aquarium. 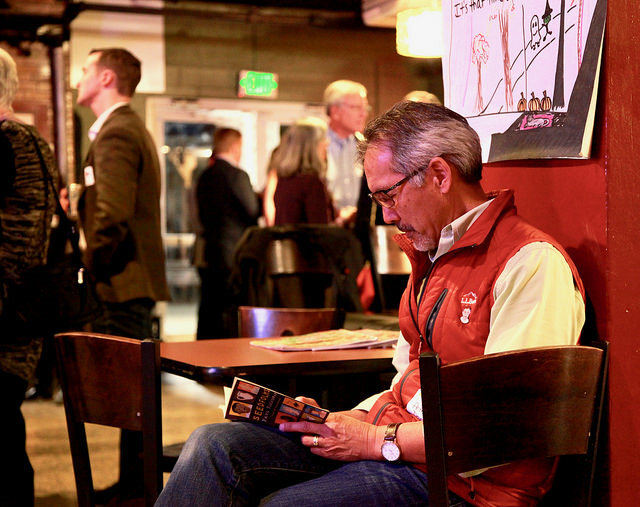 Max Bent had kids at Westport Academy Elementary/Middle composing music, writing lyrics, and learning to beatbox. 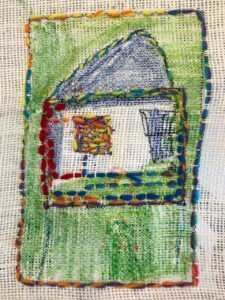 Students drew and stitched their own homes at Arlington Elementary/Middle with textile artist Pam Negrin. 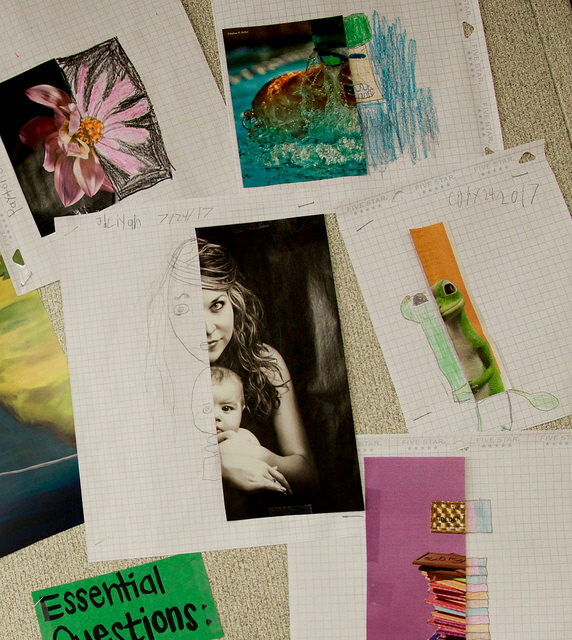 Every week, YA teaching artists introduced students to new experiences. Some learned to make music using their bodies with beatboxer Max Bent while others used lines, shapes, and shading to draw bunnies, snakes, and slugs with Brittany Roger of The Drawing Zoo. From jazz vocalist Renèe Georges, they learned about braille and how the late, great Ray Charles overcame adversity. They stitched colorful portraits of home with textile artist Pam Negrin and used what they learned about composition and digital photography from artist Christina Delgado to capture images of their library, teachers, and classmates. Actor Katherine Lyons gave students the tools, space, and permission to pretend, allowing even older children to travel wherever their imaginations would take them. 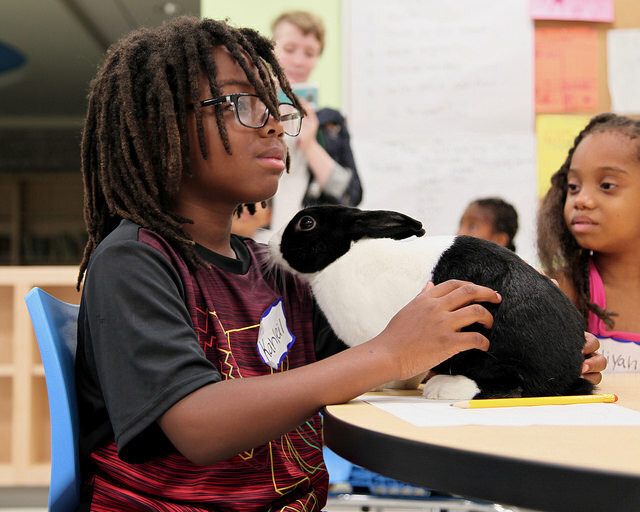 Students at George Washington Elementary met and drew all kinds of animals including Bun Bun the bunny when Brittany Roger of the Drawing Zoo came to visit. And through all of these art activities, young students strengthened their literacy skills, their vocabularies, and even their math skills. As they wrote songs, they considered the division of time when deciding how beats would fill their measures. 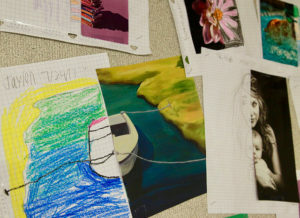 Students explored new adjectives to best describe the textures and patterns they set out to draw, and they learned many many new ways of communicating- through art, through song, through dance, and through touch by learning the braille alphabet. A gallery tour of work students at Windsor Hills Elementary/Middle completed with photographer Christina Delgado. Perhaps most of all, students in SummerREADS learned that the library is a space for them. The library is open for them to use, to learn in, to explore, and to grow in. It’s a place where magic happens, not only in books, but in minds and hearts. It’s a place that challenges your ideas and is as good at surprising you with facts as it is at mesmerizing you with fiction. They learned that the library is a place where they want to be and even in summer, its doors are open. 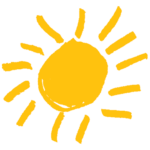 Registration for SummerREADS 2018 is now open! This year, the program will expand to nine school library sites and operate Monday through Friday. 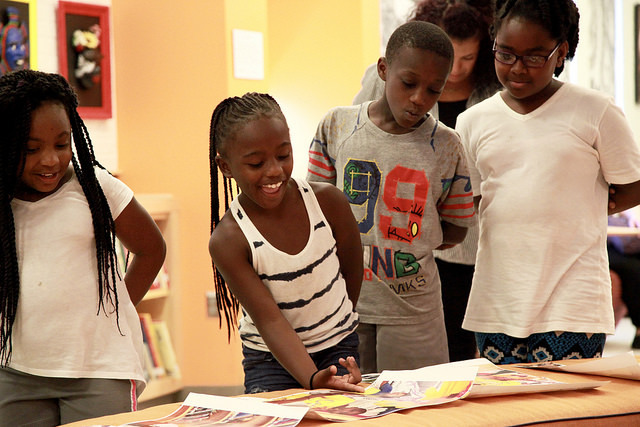 SummerREADS programs are geared toward students in grades K-3 and their families, although the library is open to all Baltimore City School students in current Pre-K-8th grades. Learn more and register today at yamd.org/summerreads. I love watching students memorize fractions by performing a dance routine or recall math facts through a song. Or marveling at a mural created by students to honor the important women and their contributions to science that they studied. I smile from ear to ear watching students in our Summer Arts & Learning Academy light up after making new connections using illustration, music, or poetry. Every day across Maryland, I am reminded how arts-integrated educational experiences help students understand academic content. The joy and excitement that comes from not just seeing and hearing but by creating and doing, makes content interesting, relevant, and easier to understand. 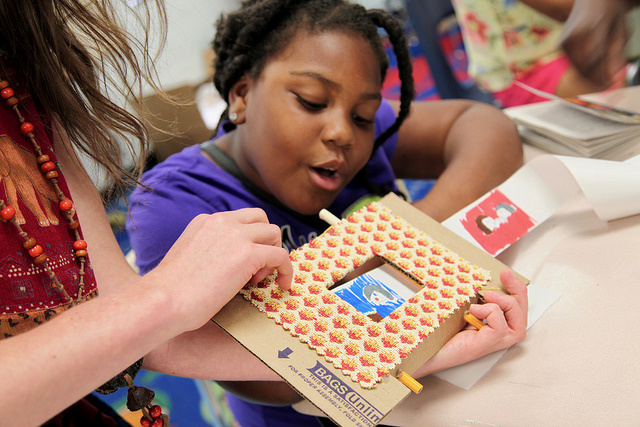 Arts integration extends that joy and excitement beyond the classroom and into students’ lives. The arts help them see the world differently through new experiences, expanding their perspectives while testing new approaches. That’s why this summer I was inspired to watch a group of rising high-school seniors grow and learn through arts opportunities outside of the school year. 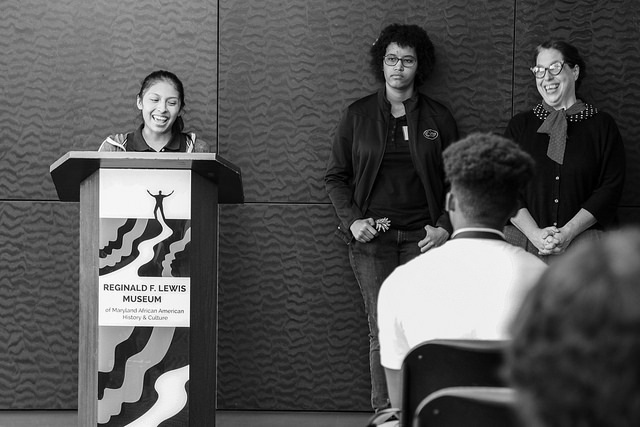 The Bloomberg Arts Internship Program just completed its inaugural summer in Baltimore, graduating 25 Baltimore City Public School students from the program. Students engaged in professional development and career and college readiness workshops as part of their summer experience. Interns worked hands-on, three days a week at cultural organizations and participated in field trips and professional development on the other two. 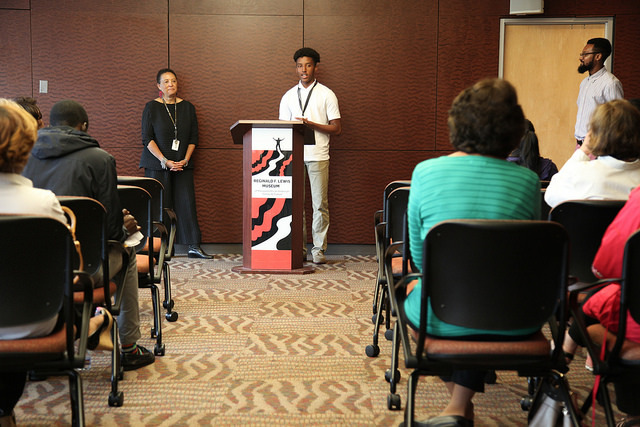 Young Audiences had the honor of managing the program, the rigorous application/selection process, and professional development along with our partner, the Greater Baltimore Cultural Alliance (GBCA). 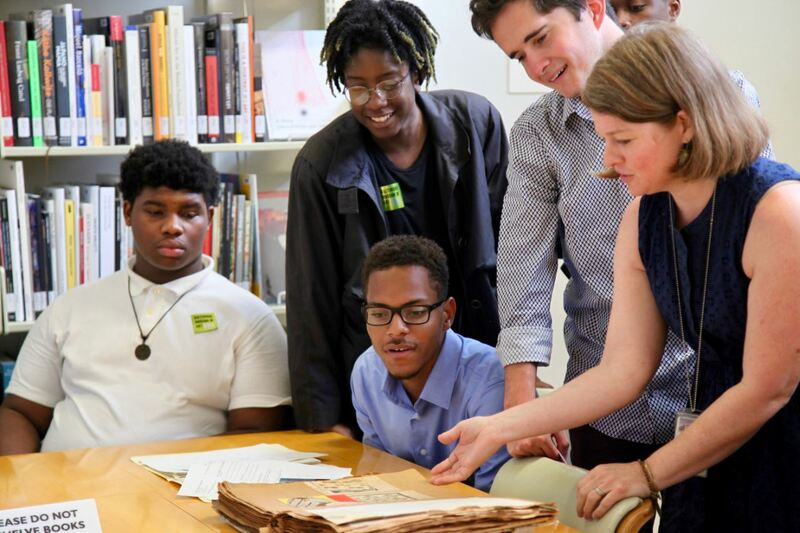 Interns placed at Peabody Institute of The Johns Hopkins University share the projects and personal experiences from their time at the institution. 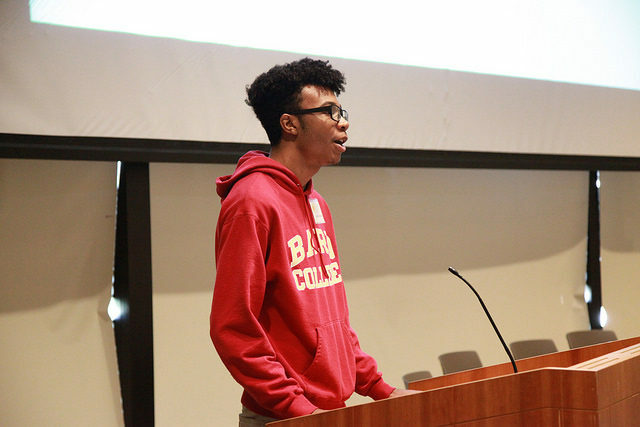 Excitement, pride, and curiosity filled the faces of 25 rising Baltimore City high school seniors earlier this month as they graduated from the program. The feeling was contagious. 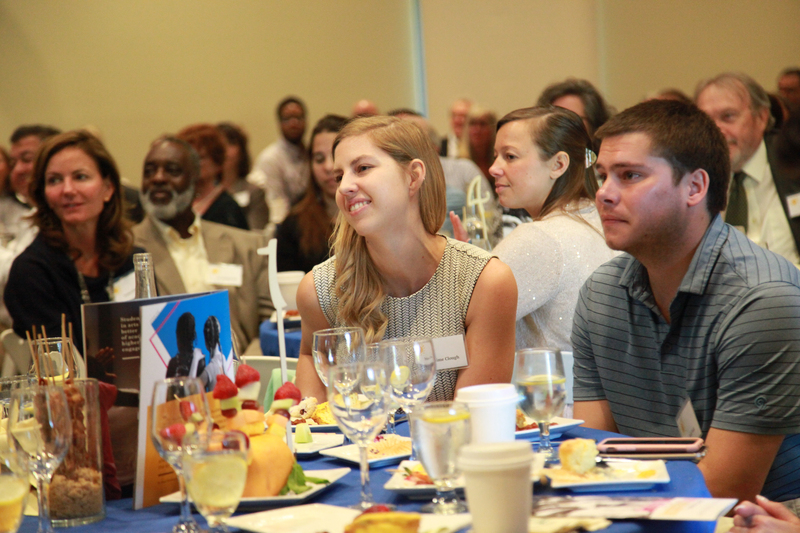 Parents, friends, teachers, and mentors looked on as interns told stories of their experiences, described projects and tasks they were assigned, and the impact it all had on their plans for the future. Some found passions they didn’t know they had. 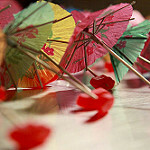 Others refined interests and built skills that will help prepare them to reach goals already set. All of them built important connections and relationships in the arts and cultural community. 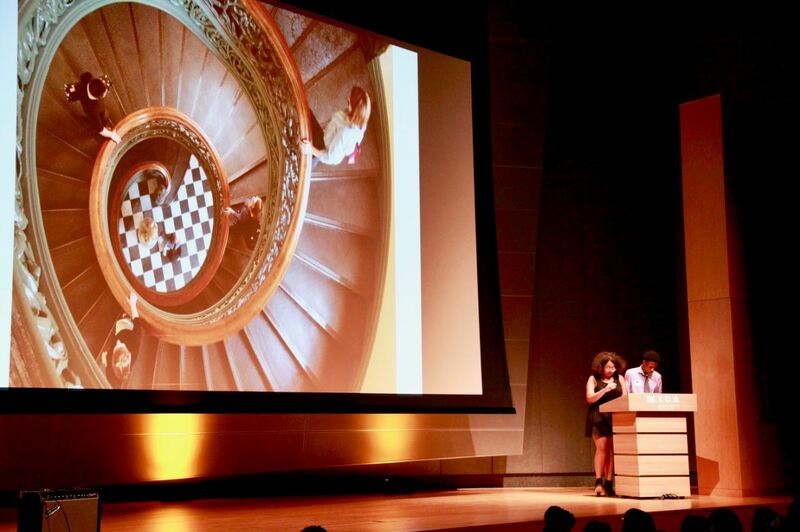 The Bloomberg Arts Internship program is a reminder of so many things we learn through our work: that education extends beyond the classroom, that learning can (and must) happen year round, not just between September and June, and that we need to create these non-traditional opportunities for students to grow academically and personally. The arts open minds and inspire passions that last lifetimes. These programs plant those seeds for our children. 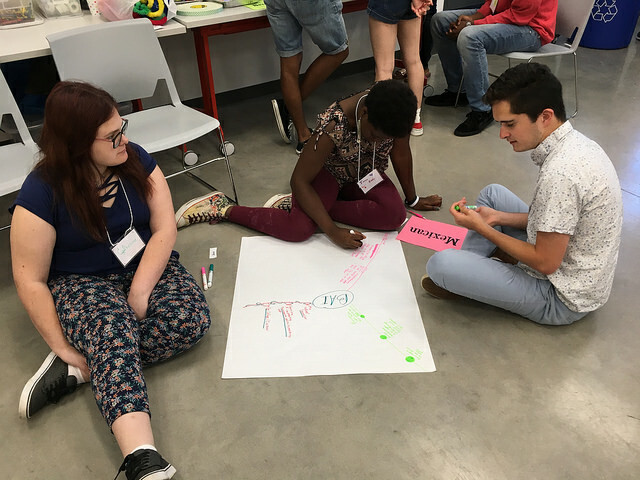 Just as I see the powerful impact of arts integration activities in school settings, I saw it this summer throughout Baltimore, as Baltimore’s Bloomberg Arts Interns discovered the world – and themselves- through their experience. 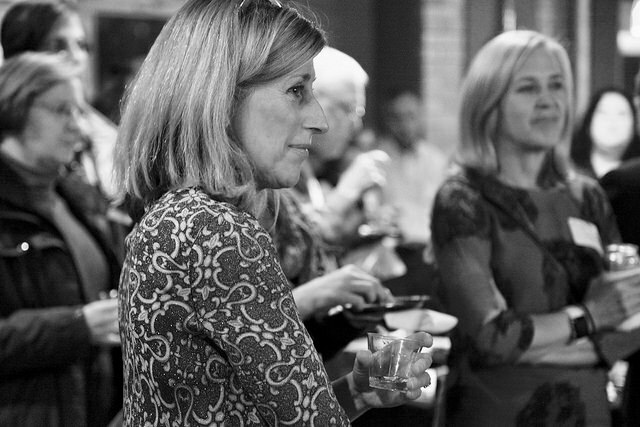 See more images from throughout the program on our Flickr page.